We’re the nation’s first law and policy organization fighting for menstrual equity – committed to ensuring that menstrual products are affordable, safe and available to those in need. In order to have a fully equitable society, we must have laws and policies that take into account the reality that half the population menstruates. Menstrual products should be tax-exempt. They should be affordable and available for all, safe for our bodies and the planet. Periods should not hold anyone back, period. "This book may be the beginning of liberation for us all." Tampons and pads are necessities, yet 35 states still tax them. Access to hygiene – safe, affordable products and information – is at the heart of menstrual equity. Safe for your body. And the planet. Be loud and period proud. Donate pads, tampons, and cups to those in need. Speak out and speak up! Contact your local and state legislators, and your members of congress too. 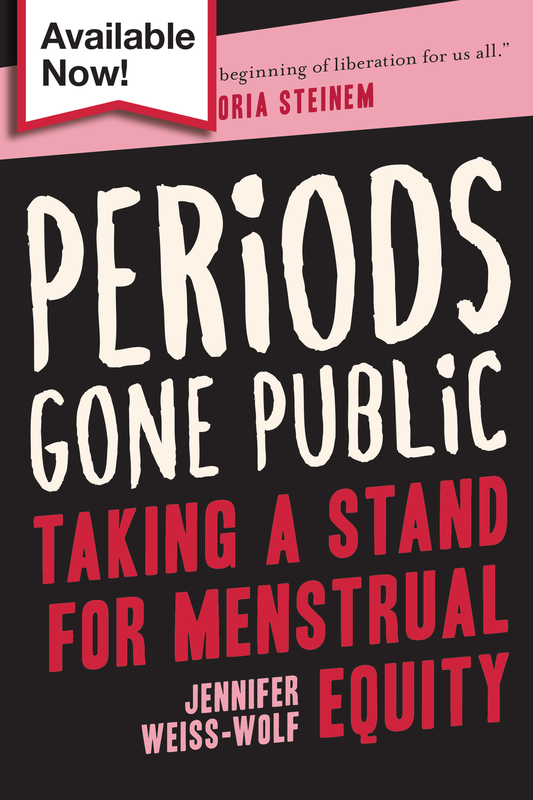 Sign our petition and share our message online with #TamponTax and #MenstrualEquity. A tax on tampons is a tax on half of the population. Update your Facebook profile pic and/or share these messages using #periodequity #notaluxury to tell the government where to stick the tampon tax. Download the free messages below.